Fears of a “psychotic sheep rampage” are at an all-time high in a small Welsh village after a load of drugs was dumped near a farm. Villagers are concerned a flock of “nuisance sheep” could have eaten the fly-tipped drugs – believed to be cannabis plants – which were quickly removed from the road in Swansea Valley. Councilor Ioan Richard said the flock of sheep was already causing problems in the village of Rhydypandy. “There is already a flock of sheep roaming the village causing a nuisance,” he told the South Wales Evening Post. “They are getting in people’s gardens and one even entered a bungalow and left a mess in the bedroom. “I dread to think what will happen if they eat what could well be cannabis plants – we could have an outbreak out of psychotic sheep rampaging through the village. 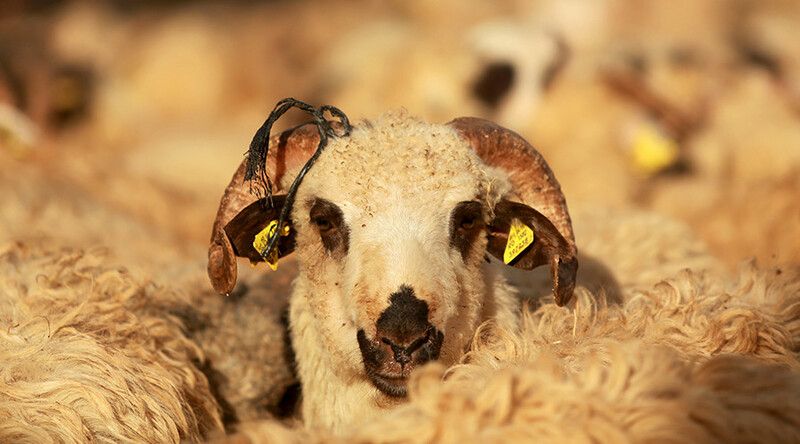 The scenario is reminiscent of the New Zealand comedy-horror film ‘Black Sheep’, in which a genetic-engineering-experiment-gone-wrong turns the wooly livestock into violent killers. A spokesman for Swansea Council said the drugs were remnants from a nearby cannabis factory. “We made the police aware of this incident as soon as it was reported and arranged a site visit together,” he said. “The fly-tipped waste has now been removed, but we’d urge anyone with information about who may be responsible to contact either ourselves or South Wales Police." In October 2014, a flock of sheep in Surrey ate their way through £4,000 (US$5,900) worth of cannabis after it was dumped in a hedgerow. Farmer Nellie Budd told the Mirror she had no idea how the drugs got there. “They haven’t had any other side effects, but I’ll tell you about the meat next week,” she added.